Is Intensive Rehabilitation The Best Brain Injury Treatment? Over 80 percent of servicemembers who sustain a combat-related Traumatic Brain Injury might be able to hold either a civilian or military job after they receive extensive physical therapy, according to a recent UK study. In fact, some are even able to return to full-time active duty. The study, which examined employment records of brain injured soldiers who received treatment between 2012 and 2014, suggests that long-term rehabilitation may be an effective investment as opposed to just another medical cost. Even more encouraging, the employment statistics did not vary according to the severity of the injury. Despite these positive findings, researchers urged caution, largely due to the study’s limited sample size and survey period. Nevertheless, scientists were greatly encouraged by the results. 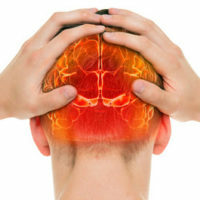 “Severity of brain injury should not put people off from seeking the best brain injury rehabilitation care center to get rehabilitation and therapies,” commented Dr. Jack Tsao, who is at the University of Tennessee. About 1.7 million Americans sustain a TBI each year. A trauma wound, such as a fall-related injury, can cause a TBI. Then again, so can a non-contact wound, such as violent whiplash in a car crash. There, the effect on the brain is similar to shaking a raw egg, and the yoke bangs against the eggshell. The symptoms are as varied as the causes, which makes these injuries difficult to diagnose. In fact, the vast majority of TBI victims receive little or no emergency room care. For example, among car crash victims, TBIs are often misdiagnosed as shock from the accident. It is only after victims display more advanced symptoms, such as trouble sleeping, severe headaches, and constant tinnitus (ringing in the ears) that doctors address the brain injury. By that time, more brain cells have died, meaning that physical rehabilitation is that much harder. Negligence: Property owners display a lack of ordinary care when they fail to inspect their properties and ensure the safety of invitees (people whose presence on the land confers an economic or noneconomic benefit on the owner), so in these cases, they are liable for any fall-related damages, including brain injuries. Negligence Per Se: This theory is quite common in car wreck cases, because tortfeasors (negligent actors) who violate a safety statute, like speeding or DUI, may be liable for damages as a matter of law. Strict Liability: If a defective product caused the brain injury, the tortfeasor is also liable for damages as a matter of law, no matter how careful or reckless the person or company was. Damages in most negligence cases include compensation for both medical bills and other economic losses, as well as pain and suffering and other noneconomic losses. Punitive damages are available as well, in some cases. In TBI cases, most of these medical bills are related to physical therapy, because there is no “cure” for these injuries. TBI victims are usually entitled to significant compensation that can see them completely through physical rehabilitation. For a free consultation with an experienced personal injury lawyer in Brandon, contact Reed & Reed. We have four area offices (St. Petersburg, Lakeland, Tampa, and Clearwater).